lunch box (Eki ben)| South of Yamagata, sometime come to Okitama Travelog. Station bentos featuring local cuisineAmong the excellent ekiben (station bentos) you will find in Yamagata is Yonezawa’s famous Gyuniku Doman-naka, featuring locally produced Doman-naka rice cooked to fluffy perfection and topped with slow-cooked beef and beef soboro (crumbles) flavored with a special sauce. 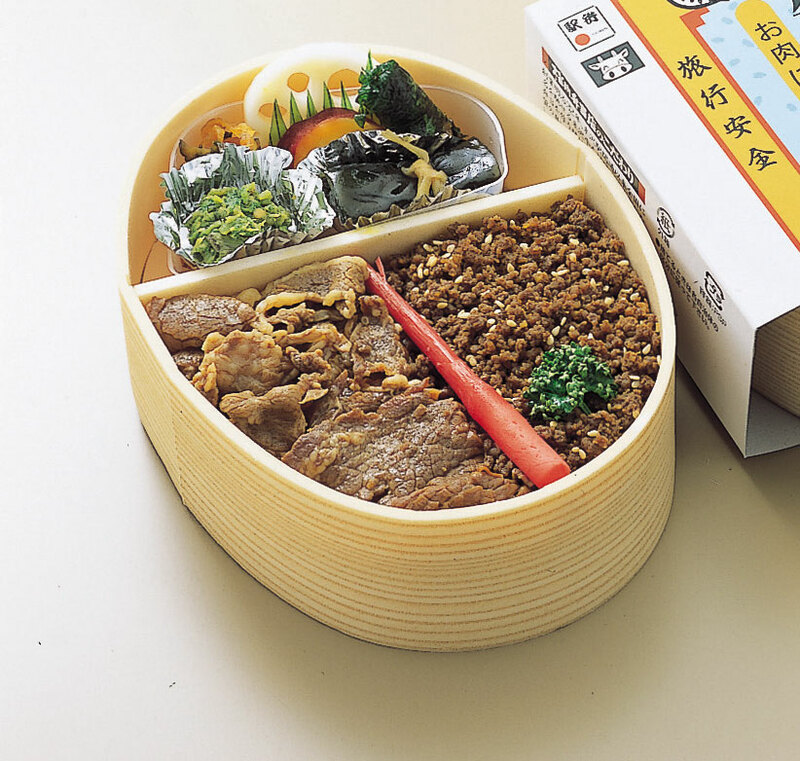 Created to commemorate the opening of the Yamagata Shinkansen, this ekiben is a national favorite.